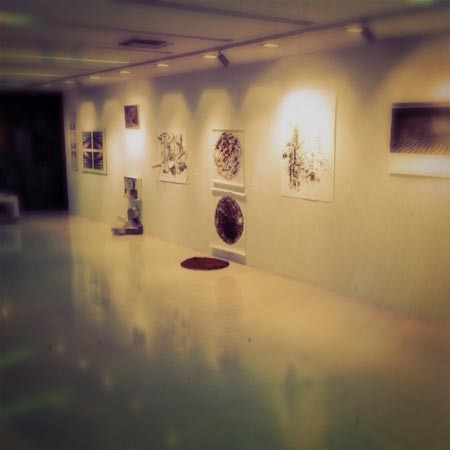 The exhibition presents the works of students of the Department of Visual and Applied Arts of Florina. 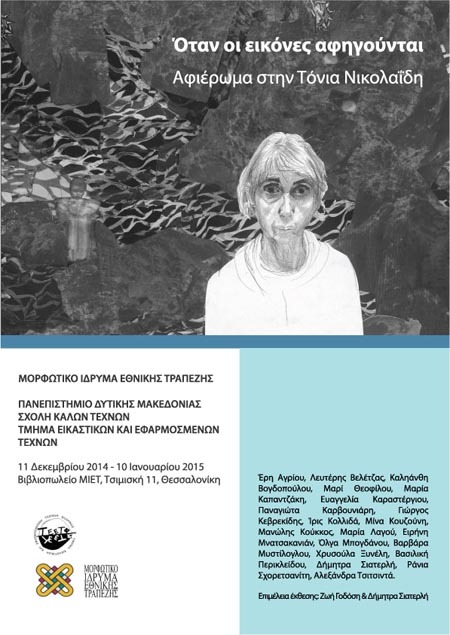 Artworks were established on occasion of the exhibition of Tonia Nicolaides at the Museum of Contemporary Art in Florina organized by MIET in autumn 2011. The aim of the project, which was carried out during 2011-2014 was to investigate the work of the artist as a case study on issues relating to the production of artistic work. The artworks in the exhibition were based on the idea of ​​creating projects in variations, the processing of a visual vocabulary, as Tonia Nicolaides develops her work in series, creating visual narratives mentioning stories common to all and yet so different in their details. The students studied the sections of the work of Tonia Nikolaides, along with the writings and edited this or similar subject, based on personal experiences or using recommended literature to create a narrative with images. 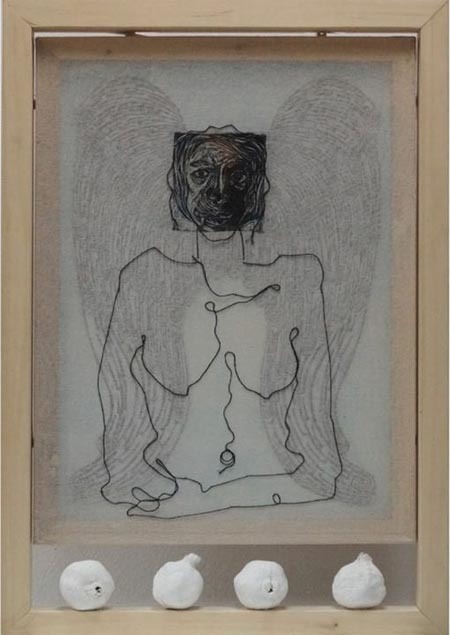 For the implementation of the artwork they didn’t used traditional methods of printmaking, choice that keeps up with the modern and very personal artistic idiom of Tonia Nicolaides. The exhibition was curated by Zoe Godosi and Dimitra Siaterli. Eri Agriou, Lefteris Velentzas, Kalianthi Vogdopoulou, Mari Theofilou, Maria Kapantzaki, Evaggelia Karastergiou, Panagiota Karvouniari, Yiorgos Kevrekidis, Iris Kollida, Mina Kouzouni, Manolis Koukos, Maria Lagou, Irene Mnatsakanian, Olga Bogdanou, Barbara Mistiloglou, Chryssoula Xineli, Vassiliki Periklidou, Dimitra Siaterli, Rania Schoretsaniti, Alexandra Tsitsinta.